Solar and Wind Applications is Scotland's leading renewable energy installation company, providing turnkey solutions to energy needs in Public, Corporate and Private sectors. As main stockists of industry leading products, and MCS accredited installers, we have a wealth of experience in everything from system design, supply, installation and commissioning. 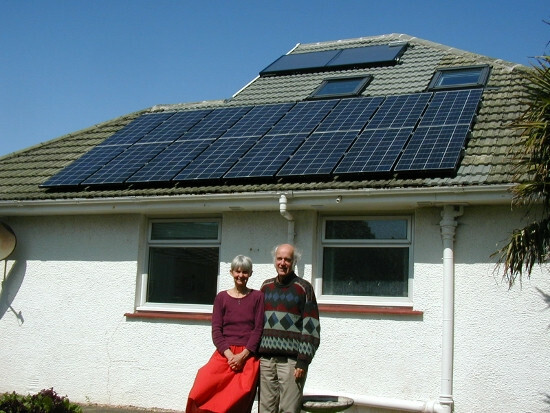 2kw pv system system installed on a home on tiled roof. customer is delighted with the system, and modules and inverter performing well. 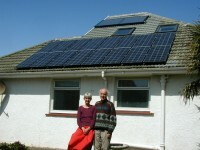 Happy customers happy customers showing off their new pv system. they also have a solar thermal system (not installed by us) and a ground source heat pump which we installed. super energy efficient house! Solar And Wind Applications Ltd are MCS accredited engineers who supply and install Solar PV. 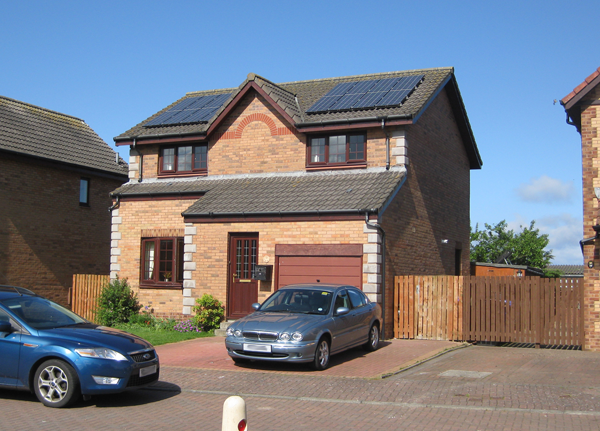 For similar installers in this area please visit the Mauchline solar page.